All expensive watches are not created equal, so the answer to the question, “Are all expensive watches valuable collector’s items?” is, “no”. Some brands have more inherent resale value than others, so it’s important to invest in expensive watches that will keep their monetary value over the years. If you’re interested in collector’s watches, it’s vital to choose solid brands that garner respect worldwide. Examples of these brands include Patek Phillipe, Rolex, and Piaget. Collectible because a famous star wears them? Examples of expensive, exclusive watches which may not have the same resale value include diamond-studded timepieces from lesser-known watchmakers or jewelers. While this “bling” may have value on its own, gemstone embellishments on an inferior brand won’t guarantee great resale value of the wristwatch itself. Of course, if you are buying a watch only for the pleasure of wearing it and enjoying its features, then purchasing an expensive watch that doesn’t have exemplary resale value is fine. Just be certain that you’ll be happy with your new and valuable watch for a long time, and that you won’t be disappointed if you try to sell it on one day, only to discover that its value has depreciated. Another way to ensure a safe purchase (and great resale value) is to study the history of a watchmaking company carefully before you buy. The best watchmaking firms will have illustrious histories, and they’ll get tons of press, both on and offline. Collector’s watches from these types of companies will be more likely to retain their value. 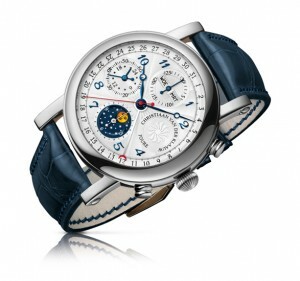 In general, the older and more established a watchmaking company is known to be, the better. However, the company must be top-tier, and they must produce only luxury timepieces. For example, a lower-priced brand, such as Timex, may sell relatively expensive watches that won’t ever have great resale value. Other examples of venerable watchmaking firms that don’t produce ultimate, exclusive watches include Bulova and Seiko. These are all fine companies, but they just don’t have the cachet of Piaget and other fine wristwatch retailers. Therefore, even the most expensive watches that these companies sell may not really be classified as collector’s items, and people won’t be clamoring to buy them for high prices in online or bricks-and-mortar marketplaces. How Expensive is Expensive, Anyway? Of course, what is considered “expensive” varies widely. For example, an antique timepiece with spectacular provenance (backstory and history), such as a design that was worn by the notorious Duchess of Windsor, will garner huge bids at auction, and it may sell for hundreds of thousands of dollars, no matter which watchmaker designed the piece. On the other hand, the same watch, without the provenance, may be pretty much worthless, except for the value of the fine metals and embellishments used in the piece. 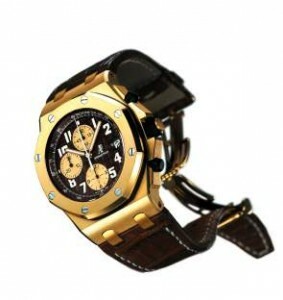 Therefore, determining the value of an expensive wristwatch depends on a range of factors. Most timepiece collectibles that you will find for sale online (at auctions and forums) will not have belonged to illustrious people. Therefore, their value as collector’s items must be based on their brand names alone. If you know a lot about luxury watches and you haven’t heard of the brand name of a certain expensive timepiece, then it’s probably not the best investment, except perhaps as an object of beauty. If you’re intrigued by this topic and you’d like to find out more about buying a valuable watch that is a true collector’s item, you may find that visiting online watchforum websites is well worth your time. At these web hubs (such as watchuseek.com), you’ll be able to liaise with other luxury watch buyers, owners, and sellers, and you’ll learn a lot about what’s hot…and what’s not. By plugging into a worldwide network of “valuable timepiece” aficionados, you’ll gain access to an incredible store of information that will help you to make the right decisions when it’s time to buy or sell an expensive timepiece.